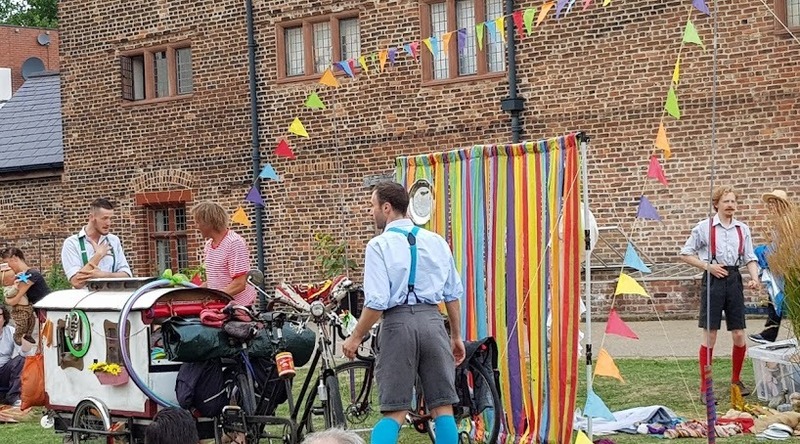 The Brick Castle: The Handlebards present Twelfth Night at Ordsall Hall Theatre Review. The Handlebards present Twelfth Night at Ordsall Hall Theatre Review. Last night we were guests of Salford Community Leisure and Ordsall Hall Open Air Theatre to watch the world's first cycling theatre company, The HandleBards, perform Shakespeare's classic comedy love story Twelfth Night. The weather is currently amazing, so we took folding chairs and umbrellas (as insurance), covered ourselves in factor 50 and set off. Parking was arranged close by and it was possible to book a picnic in advance, which was waiting for us when we arrived. Proper night off. I've never been to Ordsall Hall before, but I will definitely visit again with my children. 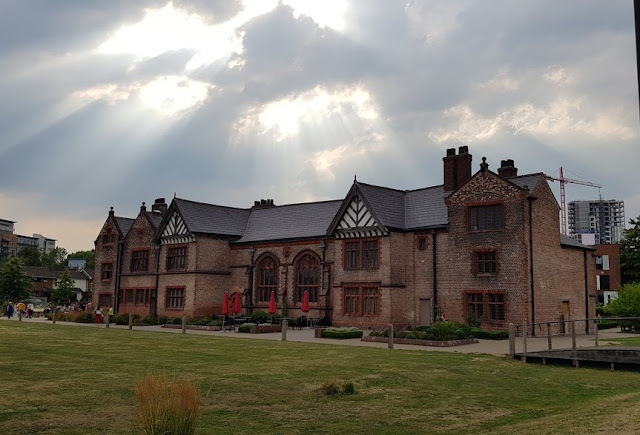 It's an amazing location which was first mentioned in records in 1177, and sits amid the apartment blocks and factories of Salford. Shakespeare's own rose between many thorns. The museum is free to visit and open all year. We had a glimpse, but no chance during this visit to look properly. The picnic was amazing. I cannot tell you how impressed I was. We'd booked two vegetarian meals and whoever put our bag together made sure that we had choices and variation. 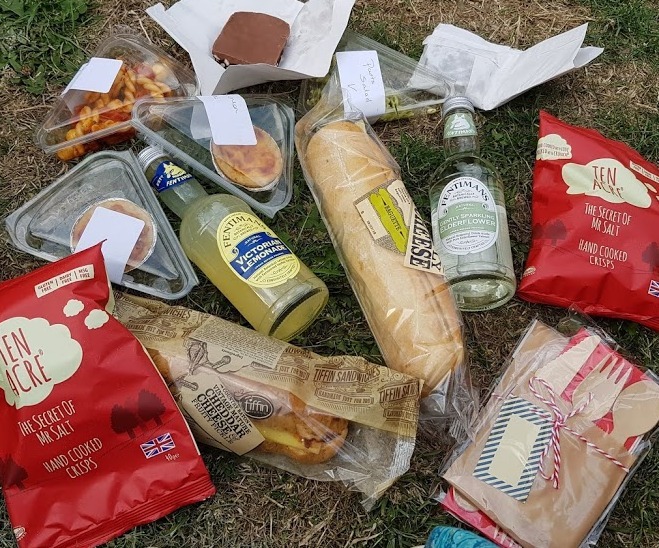 Pasta salad, tarts, baguettes, crisps, Fentimanns and cake. We were both delighted. I'd love to have a gorgeous photo of the food, but it was easily 25 degrees in bright sunshine and visibly wilting. I wasn't going to let my food spoil for photography, so this will have to do. We were famished when we arrived, replete 30 minutes later. I made the error of sitting behind the biggest chair in the world - don't do the same thing. It wasn't the occupiers fault, he was there first, but it wasn't only me who was caught out. As the play began and we relaxed into our camping seats, it was immediately obvious that we were not going to have much of a view. Being British and too stupidly polite to just get up, we moved at the interval. The HandleBards are an all-male troupe who tour the globe on bicycles, with all of the set, props and costumes they need to deliver "environmentally sustainable Shakespeare" which was impressive to say the least. We were there to see Twelfth Night, a slapstick comedy involving mistaken identity, disguises, unrequited love and much confusion. The HandleBards warm up before the show. The actors had an amazing amount of energy and the whole production was hilarious. They involved the crowd, ad-libbing often and joining people to take some of their food or drink. The story involves a group of bawdy, heavy drinking men, and when playing them the actors were fully 'in character', swigging from the audience's wine bottles and being generally pretty obnoxious. It was probably more in line with Shakespeare's original production than anything you'd usually see in 2018. The HandleBards put on a fantastic show. The timing and acting are spot on and they are incredibly funny. They work together in a way that only a team who know each other backwards can, with split second cohesion and placement. They are off to Rufford, Preston and Yorkshire next, and well worth seeking out. 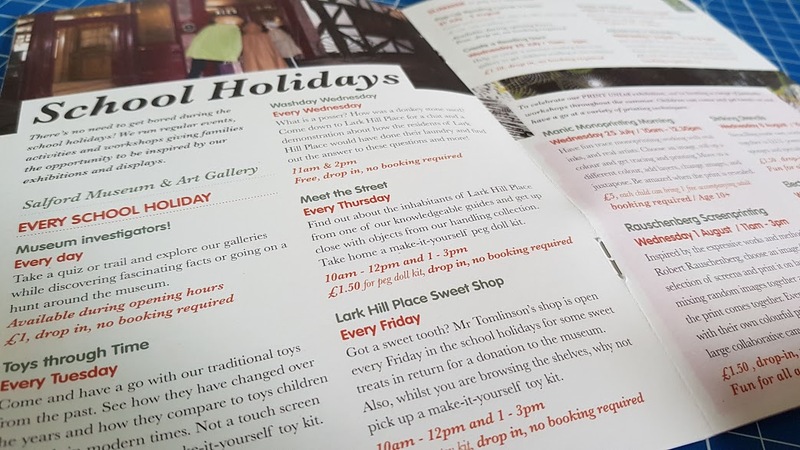 Find out more about other events in the NorthWest this Summer in my Summer holiday family round up. We attended as guests to review, and we were given the gorgeous picnic. 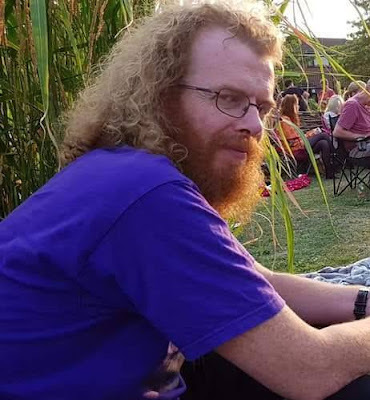 Thank you to everyone involved.